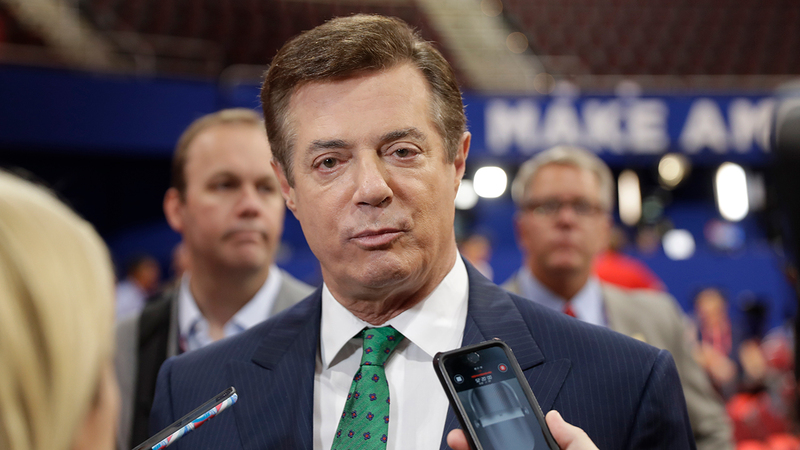 WASHINGTON -- In a dramatic escalation of pressure and stakes, special counsel Robert Mueller filed additional criminal charges Thursday against President Donald Trump's former campaign chairman and his business associate. The two men were initially charged in a 12-count indictment last October that accused them of a multimillion-dollar money-laundering conspiracy tied to lobbying work for a Russia-friendly Ukrainian political party. The new charges, contained in a 32-count indictment returned by a federal grand jury in Virginia, allege that Manafort and Gates doctored financial documents, lied to tax preparers and defrauded banks, using money they cycled through offshore accounts to fund lavish lifestyles in the U.S. The new indictment comes a week after a separate Mueller indictment charged 13 Russians in a conspiracy to undermine the U.S. presidential election. The charges against Manafort and Gates don't relate to any allegations of misconduct related to Trump's campaign. The new indictment accuses Manafort and Gates of doctoring documents to inflate the income of their businesses and then using those fraudulent documents to obtain loans. It also accuses Manafort of evading taxes from 2010 through 2014 and in some of the years concealing his foreign bank accounts. In a document that accompanied the new indictment, prosecutors said they had filed the charges in Virginia, rather than Washington where the other case is pending, because the alleged conduct occurred there and one of the defendants objected to them being brought in Washington. After a two-month stretch that produced no additional charges, the new indictment represents the latest flurry of activity for Mueller's team in a one-week span. Besides the charges against the Russians, Mueller's team on Tuesday unsealed a guilty plea from a Dutch lawyer who admitted he lied to investigators. Manafort and Gates both pleaded not guilty after their indictment last fall.